I have a weird obsession with being fancy, chic, and the most basic blogger gal in the universe. My friends mock me on a daily basis for my Instagrams, for my love of being "fancy" and just enjoying girly things. I love being part of a good trend and I don't like to miss out on something trendy. I make no issue of this though -- I've always been a super girly girl and I love that part of me. I don't apologize for it. 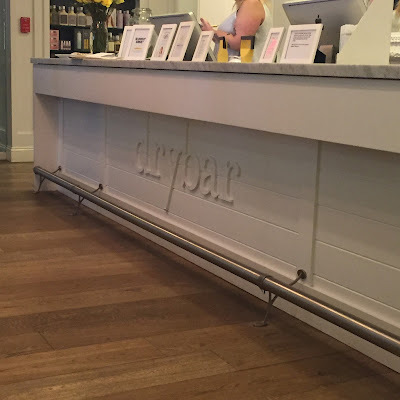 For the past few years, I've seen everyone talking about Drybar and how incredible it was. I saw the Instagrams, followed them on every social media platform, and longed for the chance when I would sit in that chair. There are no Drybars in my neighborhood but since I work in Manhattan, they are all over the place. I never found the right excuse to spend $45 on a blowout when I could get one in my neighborhood for $15, but with my cousin's wedding this past weekend, it felt like the perfect time to treat myself. I made an appointment at one near my workplace for Friday night after work and was super excited and a tad bit nervous. I have an issue with going out (ANYWHERE) after work because I have a weird desire to just get home on time but I sarcified that for the sake of pampering. 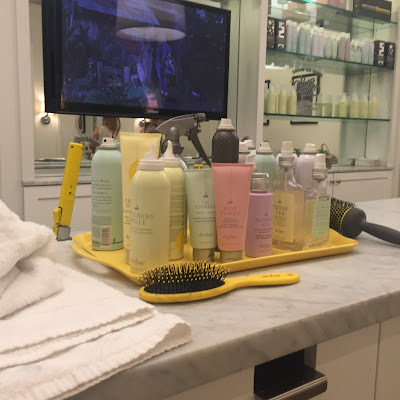 When I walked into the Drybar at the Le Parker Meridian Hotel, I was met with this warming feeling. Everything was so clean and cute. The yellow accents mixed with the smell of hair products was unique and just so inviting. 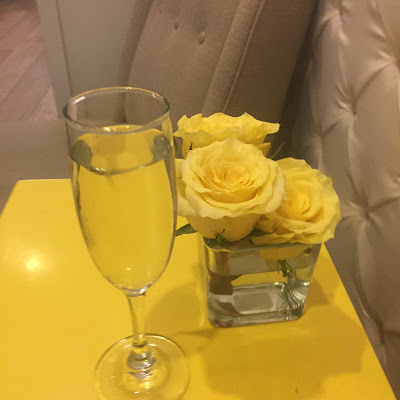 The staff was SO NICE and attentive; I gave them my name, they offered me some champagne (to which I gladly accepted) and I waited for my appointment. I arrived pretty early (15-30 minutes before my appointment) and was seated with my stylist only 10 minutes after my appointment time. I am used to waiting a good half hour to an hour for any hair stylist which is pretty annoying... I was surprised at this because for a Friday night in Manhattan, the Drybar was pretty crowded. I met with my stylist Stephanie, she sat me in her chair and asked what I wanted. I told her I had a wedding and that I had looked in their lookbook (the book in their salon & online that has all the different hairstyles & blowouts they can do for you) and I picked a Mai Tai, loose beachy waves & curls. She brought me into the back to wash my hair & offered 2 shampoos (I gladly accepted only one) and if you've ever been to a hair salon, you know the washing portion is the most relaxing thing in the universe. I am obsessed with getting my hair washed. She sat me back in the chair and started on my hair. I think the entire process took around 30-45 minutes because I have insanely thick, unruly, curly hair so this was actually fast for me. 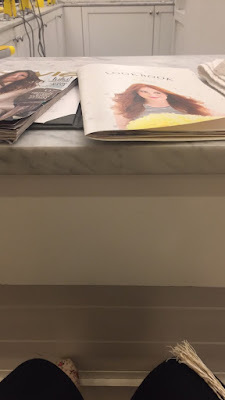 While she did my hair, I looked through magazines, watch the movie they were playing on the television in front of me, and played around on my phone. The place was beautiful and just so nice & fun. 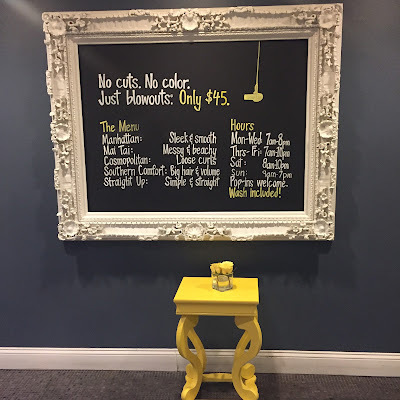 I love a nicely decorated place and the Drybar was beautiful, with the flowers, hair products, yellow accents and just the entire layout of the place. It is the ultimate girly getaway. After Stephanie was done with my hair, I paid and left the area. It's the day after the wedding, 2 days after I got my hair done, and the curls are still in tact. 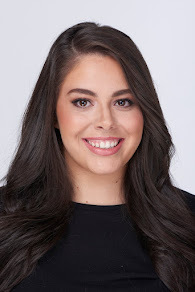 I reserved them with the help of a few drybar products *linked below along with the other products she used on me in the salon* but my hair usually holds a style for a few days. 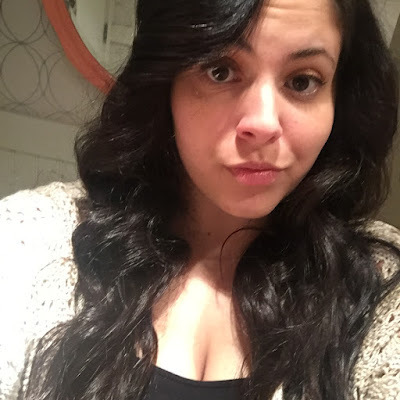 All in all, I was incredibly happy with the way my hair came out, with the experience and staff. It's safe to say that I am addicted to the drybar, have downloaded the app, and already booked my next appointment. 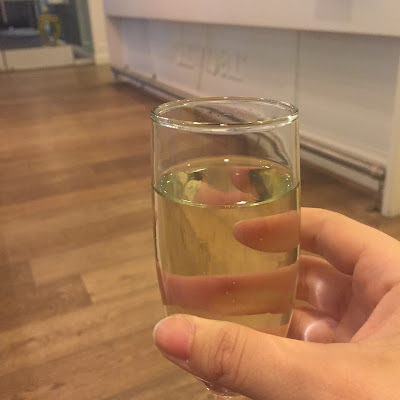 I will 100% spend $45 after a hard week (or day) at work to get pampered and have someone blow my hair while I sip on champagne. Isn't that every girls' dream? 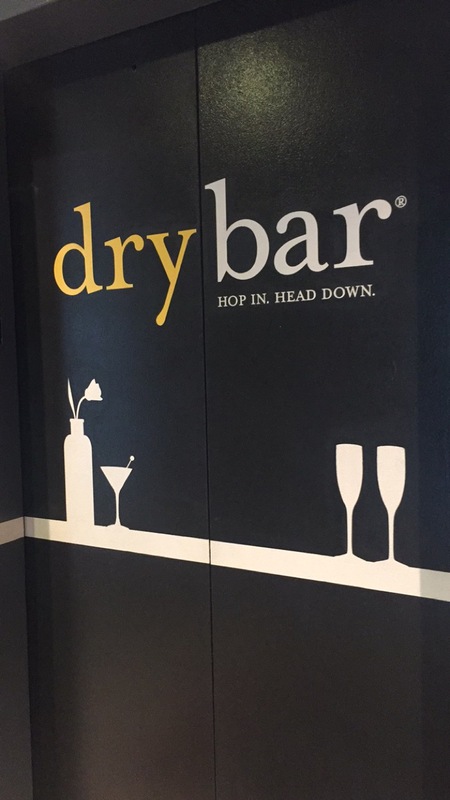 Have you ever been to the drybar? What is your favorite pampering activity?